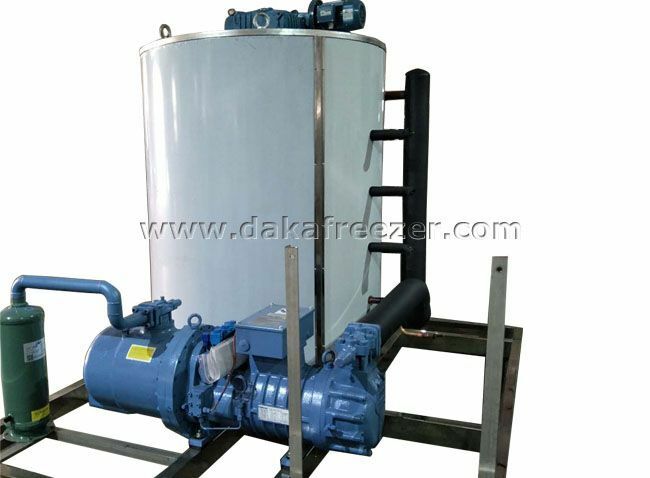 Seafood Markets Flake Ice Machine is generally large, generally if a small Nissan 300 kg ice machine can be used, if a slightly larger supermarket may need 500 kg per day, super large supermarkets need 1-2 tons of supermarket seafood ice machine . According to many years of industry experience, the manufacturer tells you how large the Supermarket Chains Flake Ice Machine. This is a calculation. Your supermarket needs to produce ice machine equipment with a large amount of ice. Supermarket seafood is generally placed on the ice platform. Generally, a standard ice platform uses about 120-150 kilograms of ice a day. It may be used in summer. If it is a non-standard ice platform, you need to look at the specific size to calculate. How much is the supermarket seafood ice machine? Small supermarket: Nissan 300kg supermarket seafood ice machine, 500kg supermarket seafood ice machine. Medium-sized supermarket: Nissan 500kg supermarket seafood ice machine, 1 ton supermarket seafood ice machine. Large supermarket: 1 ton - 3 tons supermarket seafood ice machine.